The Museum of Modern Art, New York. Gift of Lincoln Kirstein, 1954 (547.1954). (New York, NY) Acquavella Galleries is pleased to announce Lucian Freud Drawings, the most comprehensive survey of works on paper by Lucian Freud ever exhibited in the United States, from May 1st – June 9th, 2012. Curated by William Feaver, the exhibition will include over eighty works spanning from 1940 to the present day, many on loan from prestigious public and private collections. Feaver, who organized Freud’s acclaimed retrospectives at Tate Britain, London (2002) and the Museo Correr, Venice (2005), worked with the artist over a four-year period to assemble the exhibition. The show aims to present Freud’s drawings, often overshadowed by his paintings, as a fundamental aspect of the artist’s oeuvre. Lucian Freud Drawings was organized in cooperation with Blain|Southern in London, where it was on view from February 14th through April 5th, 2012, coinciding with a major retrospective of Freud’s paintings at The National Portrait Gallery. The works in Lucian Freud Drawings range from intimate portraits of Freud’s family and friends to landscapes and studies of animals. A wide variety of mediums will be on view including charcoal, pastel, conté, pen and ink, crayon, etching and watercolor. The works on paper will also be juxtaposed alongside Freud’s oil paintings to demonstrate how each medium influenced the other. Many of the works were selected by the late artist from sketchbooks and have never been before exhibited. Freud stated “I very much prided myself on my drawing” and understood his drawings to be absolutely integral to his paintings. Feaver also highlights “the interplay between the works on paper, both drawings and etching, and the paintings of the past seventy years”. Feaver underlines that drawing is and always has been “a powerful strand in Freud’s work.” The exhibition traces Freud’s development from early childhood sketches begun in 1930 through work from 2011, the last year of his life. Though Freud’s drawing output became less prolific in the early 1950s, when he began concentrating primarily on painting, the exhibition includes important works on paper from all periods of the artist’s life. The show also covers his work in etching, including his experimentation with the medium in the late 1940s and his more extensive work in etching beginning in the 1980s. 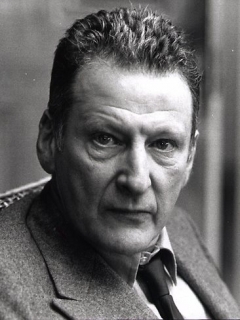 Lucian Freud (1922 to 2011) was born in Berlin and later emigrated with his family to England. Internationally renowned as a portrait painter, he has painted notable figures including The Queen of England, Lord Rothschild, Baron Thyssen-Bornemisza, Kate Moss, and fellow artists David Hockney and Francis Bacon. Freud has been the subject of numerous museum retrospectives and exhibitions, including shows at the Centre Georges Pompidou in Paris, the Museum of Modern Art in New York, the Irish Museum of Modern Art in Dublin, the Museo Correr in Venice, the Metropolitan Museum of Art in New York, Whitechapel Art Gallery in London, the Hirshhorn Museum and Sculpture Garden in Washington, DC, the Tate Britain, and the Scottish National Gallery of Art. In addition to his curatorial work, William Feaver is the author of Lucian Freud (New York: Rizzoli, 2007), the most comprehensive publication to date on the artist, covering a span of seventy years.